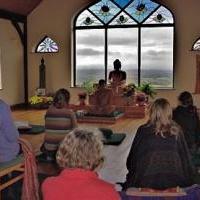 Sunyata will be having a 2 week period as a Buddhist Monastery from Monday 6th to Wednesday 22nd July. During this period Buddhist nun Ajahn Metta will be in residence for the whole period while Buddhist monk Ajahn Ratanawanno will be joining us for the first few days until Wednesday 8th. The centre will be open for people to visit and/or stay in residence during that time and be part of the resident community. 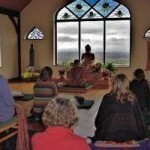 A typical day will consist of morning & evening meditation and chanting. The daily schedule will also include breakfast, main-meal, chores as well as free time in the afternoon. All guests, residential or visitor, will be asked to abide by the 8 precepts and live according to the communal timetable. There is no charge to attend. If you wish to stay as a guest for all or some of this period please let us know in advance by e-mailing [email protected]. See here for more details and a daily schedule.